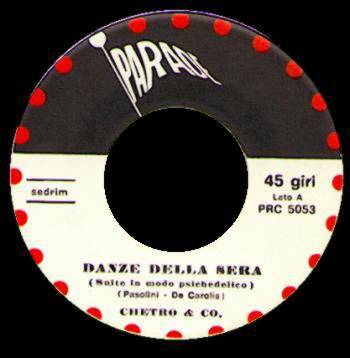 If Dedicato a... by Le Stelle di Mario Schifano or Ad Gloriam by Le Orme are considered the best Italian psychedelic LP's, then Danze della sera by Chetro & Co. is surely the best psych single ever made in Italy. 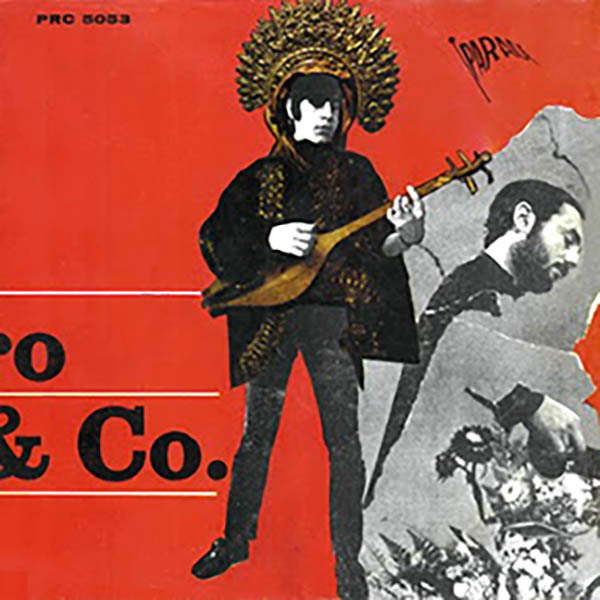 A duo from Rome, they only released this single on the small Parade label in 1968 with a stunning poster cover and, like Le Stelle had in artist Mario Schifano their most important supporter, Chetro & Co. were helped by well known film director Pier Paolo Pasolini, whose verses (from a poem called Notturno) were used as lyrics for Danze della sera. Danze della sera and Le pietre numerate have the duo augmented by bassist Gianni Ripani and drummer Gegè Munari and both include unusual string and woodwind instruments sounds, creating a unique hypnotic eastern-tinged style. Both the band members appeared on the 1970 album by Leone Tieri. Guitarist Gianfranco Coletta played with brothers Vittorio and Gianni Nocenzi in the very first line-up of Banco del Mutuo Soccorso, he is now with Gli Alunni del Sole. Coletta and De Carolis also played in La Stanza della Musica on the eponymous 1978 LP, an album that mixed poetry and mostly acoustic music. A very rare single that was only released in its original form and never (sadly) reissued. It's little known among foreign collectors as it's rarely been mentioned in books covering Italian psychedelia. It was just included in the now rare Fiori e colori del beat psichedelico vinyl compilation released on Meccano/Toast label in early 90's, but not available on CD. The cover was a 80x18cm. wide foldout poster with a collage of colour and black & white pictures of all kind. On the back there were the lyrics and a small introduction to the band.